justin doolittle in salon: stop thanking the troops for your freedom. they didn't give it to you. Justin Doolittle, writing in Salon, takes down the military lovefest currently enveloping professional sports in North America: "Stop thanking the troops for me: No, they don’t “protect our freedoms!”"
Freedom has become one of those politically charged terms that means whatever people need it to mean. There is no coherent conception of freedom, though, in which it only exists at the pleasure of the U.S. military. It’s simply a non sequitur. The “freedoms” most Americans think of when they hear the term are enshrined in constitutional and statutory law. They are in no way dependent on the size, scope or even the existence of the U.S. military. If John Lennon’s ghost assumed dictatorial control of the U.S. government tomorrow and, as his first order of business, disbanded the entire military, Americans’ “freedoms” would not suddenly vanish. Doolittle also speaks to another concept that critically thinking people should always bear in mind: anything emanating from the dominant culture is seen as neutral and apolitical, while anything challenging the master narrative is branded as "political". But everything has a point of view. Everything carries political perspective, even if that perspective is so commonplace that it is normally invisible. Thus Canadian right-wing MP Julian Fantino can call the white poppy "an offensive attempt to politicize Remembrance Day", but his own government's incessant exhortations of Canada's "sacrifice" at Vimy Ridge, and its re-telling of the War of 1812, are seen as uncontroversial facts. If you haven't read anything by Zadie Smith, I highly recommend finding White Teeth, her debut novel, and diving in. Smith wrote White Teeth while still attending university, and it was published to great acclaim when she was only 25 years old. It's a wonderfully sprawling novel, by turns wry, satirical, and poignant, crammed full of vibrant characters, multiple themes and threads, and brilliant, surprising language. It deals with the cultural clashes and changes of immigration, generations, and class differences. If you read White Teeth and didn't like it, stop right there; you're not going to like anything else by Zadie Smith. I loved White Teeth - despite its strange and problematic ending - and I'll probably follow Smith down any literary path she travels. I've just finished NW, Smith's fourth novel. NW is another polyphonic trek into northwest London, and it is another masterpiece. The book is full of finely drawn, fully realized characters, startlingly vivid writing, and shifting points of view. The literary critic James Wood, who loved this novel, has called Smith an "a great urban realist", but I feel that sells her short. There is no doubt that Smith is a genius at capturing the complicated, multi-layered, gritty and often beautiful realities of life in a great urban city - no small feat. But she is also a genius of the human heart, of motivation, of self-identity, of inner conflict. Ultimately, for me it is not Smith's London that makes me recommend her so highly. It is her people. Like most novels I love, NW is not plot-driven. It is not a page turner; it is a novel in which many readers would say "nothing happens". Depending on your tastes, that may be warning or recommendation. I have also read and greatly enjoyed Smith's On Beauty, which, among other things, is a modern retelling of E. M. Forster's Howards End. (I didn't know that when I read it, and it's certainly not necessary to know Forster's novel in order to appreciate Smith's.) I haven't read Smith's second novel, Autograph Man but it's on The List. 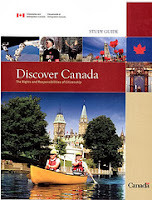 [The over-emphasis on Canadian military history] distorts and downplays the significant roles that Canadian politicians, diplomats, jurists and a variety of other civilians (such as artists) have had in shaping not just the domestic Canadian polity but abstract, universal ideas about statehood that have served as examples internationally - in Scottish constitutional development, for instance, and of course in the development of the UN's Universal Declaration of Human Rights, drafted in 1948. The nature of this contribution is significant specifically because the truth of Canadian history is that our military's stake has not been inordinate. Resolution through discussion and compromise, and the recognition of the interests of others that such an approach entails, is seen to contribute to the greater good and to have characterized not only the relationship between the government and Aboriginals, between English- and French-speaking Quebeckers (and between the British government and the conquered French colonists before that), but those between Aboriginals and the original Canadians and brokers and fur traders of the Company of Adventurers of England into Hudsons' Bay since before the modern nation-state and its apparatus of government was founded. Effectively, the only country Canada has ever sought to colonize has been itself, negotiation mostly the tactic. In 1885, Prime Minister John A. Macdonald sent troops to the end of his incompletely built railroad in order to suppress Louis Riel and the Métis and put an end to the Northwest resistance in present-day Manitoba and Saskatchewan, with the aid of Lt.-Col. "Big Tom" Strange and his rapidly assembled Alberta Field Force, though with only dubious results. Today, it can be argued that the colonization effort continues, most notably in the North and in Quebec, though through economic and not military means. This is not an accidental outcome but a consequence of our history. The legacy of Canada being founded on the back of the business of the Hudsons' Bay Company is that the model of the corporation reigns. Rather than the imperatives of the military and a dynamic of conquest, the forces of pragmatism and regulation (and the monopsonistic power of the powerful company that also, to an extent, provides) are what have shaped Canada today. Canada, once Prince Rupert's Land, is a sum of land claims greater than its parts, a country legitimised in courts and boardrooms as much as, if not more than, through soldiering. In my fine tradition of watching TV shows and movies - and then writing about them - months or sometimes years after their release, I recently finished the final season of The Office (U.S.). I had seen many episodes of this show in re-runs and in random order over the years. When we started streaming Netflix, I re-started the whole series from S1e1. (Watching shows and movies end-to-end is my favourite thing about streaming. I'm completely gaga over it.) There was a brief pause while I waited for the final season (S9) to hit Netflix, then I finished it last week. I was surprised by how satisfying I found the final two episodes of the show. But I was not surprised to see that these episodes were written by Greg Daniels, who developed the US version of the show. When I first started the final season of The Office, I thought the show had jumped the shark. The writers were resorting to cheap gimmicks and repetition, not to mention the dreaded New Characters Out of Nowhere. I was still going to watch: I had come that far, and I need my half-hour-before-sleep TV viewing. So I persisted, but it wasn't very funny. Then to my surprise, as the season went on, I began to find The Office compelling again. There were problems: Ed Helms' character often devolved into a faux Michael Scott, and some of the Schrute family farm adventures were too contrived for my tastes, among other issues. But as the story arcs moved towards closure, I once again found the show funny and sweet and credible in all the right ways. The final two episodes were great. I loved the Dwight and Angela wrap-up, loved Mindy Kaling and B. J. Novack's ridiculous, hilarious return, and I especially loved the bits of wisdom in the final interviews. Pam reminds us that beauty is found in ordinary things, and Andy wishes we could recognize the good times while we're living them. Above all, Pam recognizes the need for carpe diem. Jim was five feet from my desk, and it took me four years to get to him. 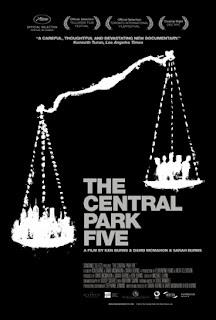 It would be great if people saw this documentary and learned from my mistakes. It would just make my heart soar if someone out there saw this, and she said to herself, Be strong, trust yourself, love yourself, conquer your fears. Just go after what you want. And act fast, because life just isn't that long. The brilliant final episode of The Office reminded me that some of my favourite sitcoms have been workplace comedies, the ones I grew up on: the groundbreaking "The Mary Tyler Moore Show," the dry "Barney Miller," and later, "Taxi". Even "M*A*S*H", at its heart, was a workplace comedy. (I was never a fan of "Cheers". I didn't hate it, but I never really cared about the characters.) They always demand a steady suspension of disbelief, since we know they don't reflect real life. But when you can care about the characters, and when credible situations and relationship develop, they can be very compelling. I wonder if I had been able to watch The Mary Tyler Moore Show or Barney Miller end-to-end, if either would have held up. An aside (since someone is sure to ask): I hated the original The Office (U.K.). I have seen very little of it, because I absolutely Could. Not. Stand. Ricky Gervais' character. While Allan insisted that my revulsion demonstrates how good Gervais really is, I maintain that if something causes you to turn off a show, that something cannot be construed as a positive. It was certainly a surprise to enjoy an American spinoff more than a British original.